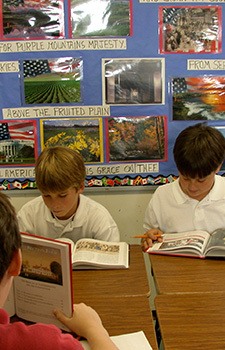 Education is at the core of all South Carolina Society’s programs and activities. Native and naturalized citizens alike have a stake in perpetuating the founding principles of our nation. By learning more about the brave men and women from all backgrounds and stations of life who built this country, we become more unified and responsive to our civic responsibility. The Society also participates in historical projects, which include research, preservation, publications, and monuments. 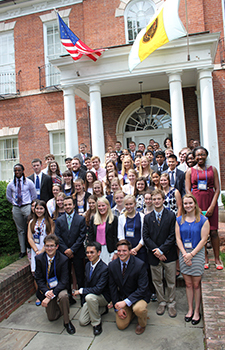 Washington Workshop Seminar: The NSCDA-SC holds the Congressional Essay Contest annually, awarding scholarships to high school students for a week in Washington, DC. Joining others from across the United States, they learn about the “inside” of our national government and the important role of citizens in a democratic society. Teaching of History: The NSCDA-SC is pleased to partner with the College of Charleston, Converse College, and Winthrop University in awarding three Teaching of History Scholarships each year. ETV: Education majors at the College of Charleston are invited to submit lesson plans for the television program “Circle of Inheritance: A History of Colonial South Carolina.” The winning plan is used in production by South Carolina Education Television as new episodes are streamed nationally for teachers and students. American Indian Nurse Scholarship: Students of American Indian descent seeking careers in the health field in South Carolina are encouraged to apply for scholarship money to support tuition and academic expenses. The Powder Magazine offers a variety of school programs on-site, in the classroom, and in tours partnering with the Heyward-Washington House, Historic Charleston Foundation, The Old Exchange, and Old Slave Mart. 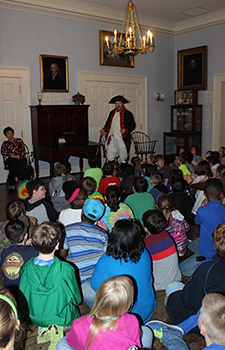 Currently, all 4th-grade students in Charleston and Berkeley County public schools participate in “Rebels & Redcoats,” a walking tour with hands-on experiences at three historic sites. Teachers may earn recertification hours in the Colonial Charleston Summer Institute’s week-long course on Charleston’s early history. This non-partisan enrichment curriculum focuses on the American Revolution and the founding period of our country. Its interdisciplinary approach has been endorsed by educators, while its hands-on study has won over students as it brings this period to life for them. The SC Dames provide financial support to Values Through History, creator of “Why America is Free,” for schools who would be unable to afford this curriculum. Of the 129 schools across eleven states using WAIF, South Carolina is proud to have 39 of those schools and is working to increase that number. Responding to the need to improve the teaching of history in the school system, the National Society is working with the Colonial Williamsburg Teacher Institute and provides education awards to graduate students in American History. In addition to the Congressional Essay Contest, American Indian Nurse Scholarships, and higher education grants, the NSCDA also sponsors online resources, including patriot biographies and a comprehensive Sampler Survey.